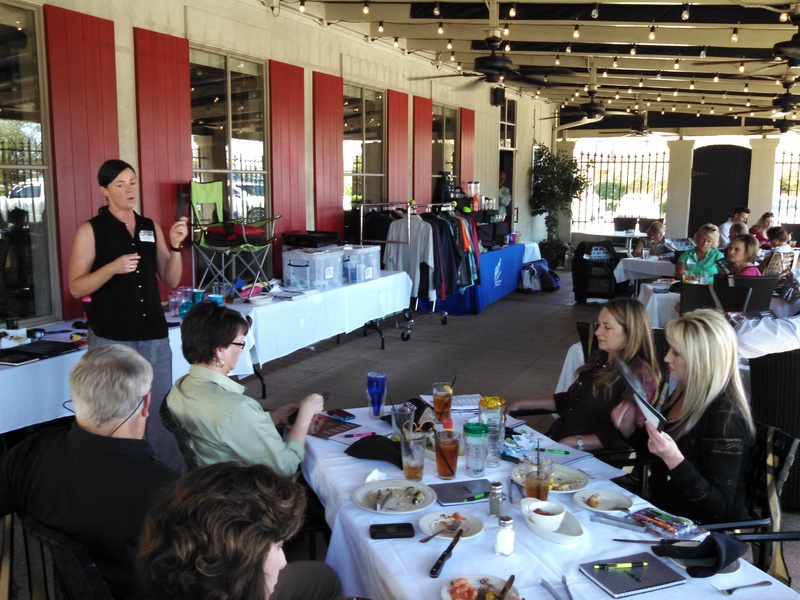 The Pensacola Promo Lunch wrapped up a busy year of traveling for SPPA, including events in New Orleans LA, Mobile AL, Montgomery AL, Lafayette LA, Decatur AL, Baton Rouge LA, Jackson MS, Birmingham AL, and Pensacola FL. Dates are being finalized for 2015 and are listed in our eNews and on our website, www.sunbeltppa.org, as they are confirmed. Would you like to help shape our future? Last month was a bad month in the world of recalls for kids’ outerwear. First we saw Benetton recalling United Colors Boy’s jackets, then the recalls of a Pure Baby Organics Boy’s Hoodie and Active Apparel Boy’s Fission Zipper Hooded Sweatshirts both occurred on the same day in September. Promo Marketing's Jeff Jacobs thinks that it's surprising that these coats and sweatshirts are even brought to market with banned closures in the first place. It’s not as though issues with drawstrings are new news — they have long been problematic. Textile Exchange, a global nonprofit dedicated to sustainability in the apparel and textile industry, announced today that leading fashion, footwear and outdoor brands, including H&M and Eddie Bauer, will join The North Face in adopting the Responsible Down Standard (RDS) — a third-party certified animal welfare and traceability standard that upholds the ethical treatment of animals along the down and feather supply chain. The North Face initially worked with Textile Exchange and Control Union Certification, an accredited third-party certification body, to design version 1.0 of the standard, which was launched earlier this year. The way in which ground shipping charges are derived is about to change in 2015. Are you prepared? Both FedEx and UPS announced plans to apply dimensional weight pricing on all packages. The two companies already use this pricing on many of their other services, but have now opted to expand this practice further. Both companies believe these changes will help to reduce excess packaging materials and overall package sizes in order to better optimize loads, which may ultimately lead to related reductions in fuel use, vehicle emissions and transportation costs. Cornell University severed its relationships with the apparel manufacturer JanSport over worker and factory safety in Bangladesh. Cornell first pressed the issue in May when President David J. Skorton sent a letter to Eric Wiseman, CEO of VF Corporation which owns JanSport, asking the corporation to sign the Accord on Fire and Building Safety in Bangladesh by the end of September. Skorton threatened to terminate JanSport’s license for Cornell goods if the company didn’t sign. Halloween is fast approaching, and this year the holiday is more popular than ever. Research from the International Council of Shopping Centers forecasts that total Halloween spending this year will reach $11.3 billion. All those My Little Ponies, "Frozen" characters you see running around add up to big bucks for companies who license their characters to the creators of Halloween costumes. But, licensing is not just for the big guys. Even small companies can license their name or brand. Photos are not just worth a thousand words — they are worth unlimited engagement. Photos are proving to be one of your most powerful weapons on social media for boosting customer interaction and cementing brand identity. More and more businesses are taking hold of this trend. As Social Media Examiner reports, photos make up nearly ¾ of Facebook content. Additionally, photos are the most engaging form of content on Facebook. Most content gets a 4 percent interaction rate, but photos get 87 percent. You probably already know the story behind the famous FedEx logo and its clever use of negative space. But of course, it's hardly the only logo with a "hidden message." British plastic card maker Oomph has collected 40 such logos — Amazon, Unilever and the Tour de France are particularly unique. How many of these sneaky messages would you have spotted without the help? The holidays will soon be upon us. With just 26 days between Black Friday and Christmas and a reported 15.5 percent growth in ecommerce sales at stake, retailers should leverage every marketing opportunity. Social media is one such opportunity. It can help extend brand reach, build awareness for promotional efforts, support overall sales activity, and do so at minimal expense to the merchant. With that in mind, here are 10 social media marketing tips you can employ this holiday season.